"Experience the life you want to live"
The Virtual Reality Network is a speculation exercise to explore a future scenario that is enhanced by virtual reality and artificial intelligence. Set in the year 2040, civilization has been forced to rely on virtual reality due to over-population. The Earth's population has grown so large that part of the population is forced to live and operate in virtual reality. "The Virtual Reality Network" is a major company from the year 2040 that is unveiling the revolutionary virtual reality + artificial intelligence technology that will contain part of the population. The Virtual Reality Network enables users to choose a subscription level with x parallels that they can lead. 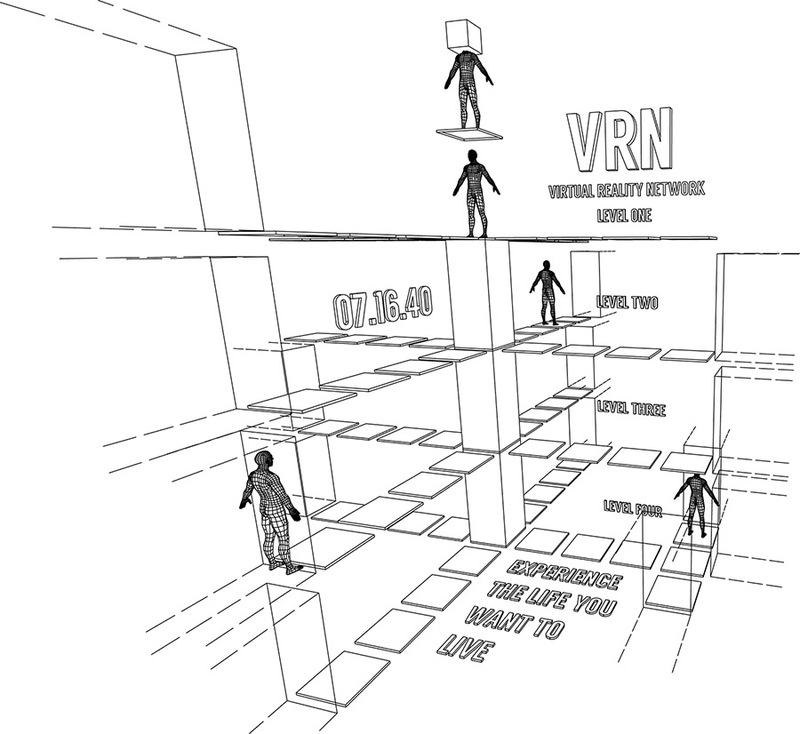 Parallels are lives in the Net (VR network). Users complete tutorials which assist them in strengthening their ability to control the virtual environment. Artificial intelligence serves as a coach guiding customers throughout the environment. Users are confined to explore only the predetermined physical boundaries of their neighborhood. All other activities such as working, shopping or attending school must occur through the Net.